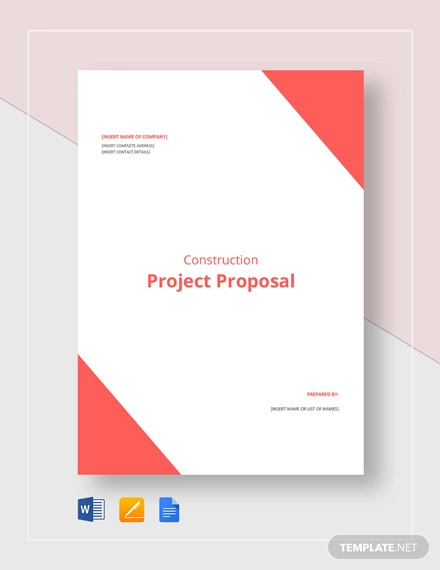 There are a lot of project proposal examples that you can refer to if you do not know how to write a proposal for a project. 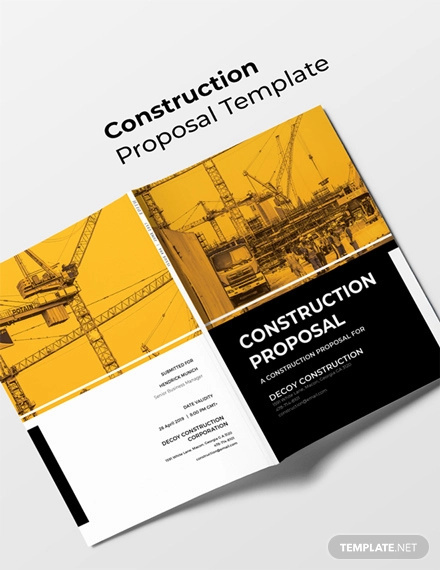 Aside from service proposal examples that are specifically created for construction projects, you can also use the downloadable samples available in this post as your guides and references. 1. 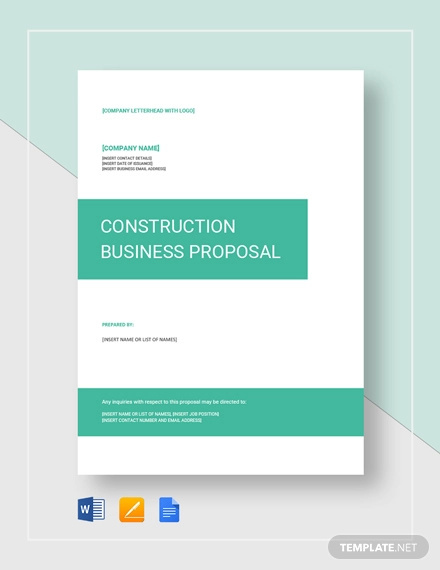 Using a complete construction proposal can help you provide the information on how you can provide the construction needs of clients. 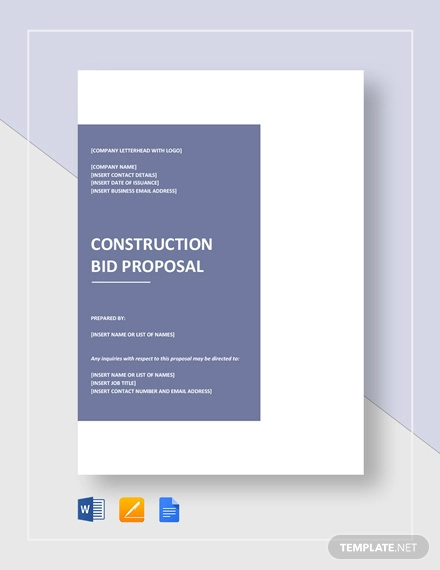 If the offers that you have included in the business proposal examples & samples are relevant with the requirements of the clients, then it is most likely that you can close the construction deal. 2. 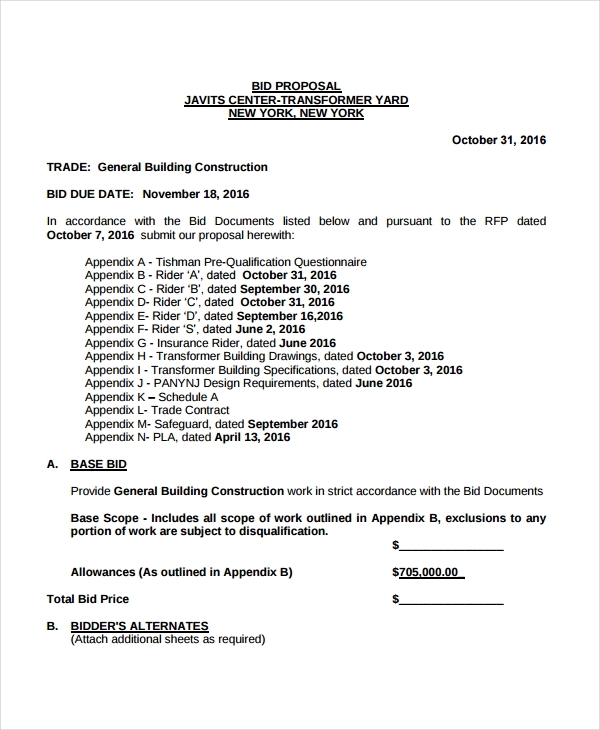 Having a well-formatted construction proposal can list down all the items related to the transaction in an organized manner. 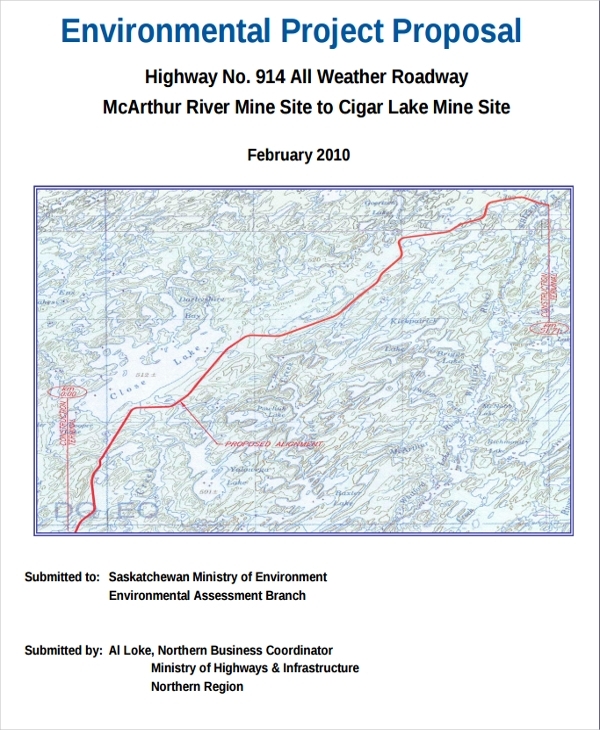 This can help clients easily understand the content of the document. 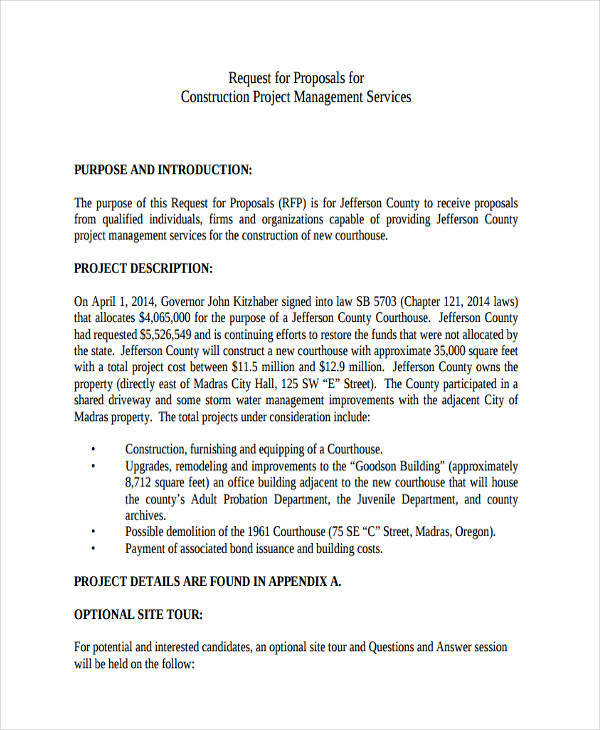 Unlike the process that you need to follow on how to prepare a nonprofit grant proposal budget or fundraising proposal examples & samples, you have to ensure that the cost of the construction project will also be identified in the proposal that you will make. 3. 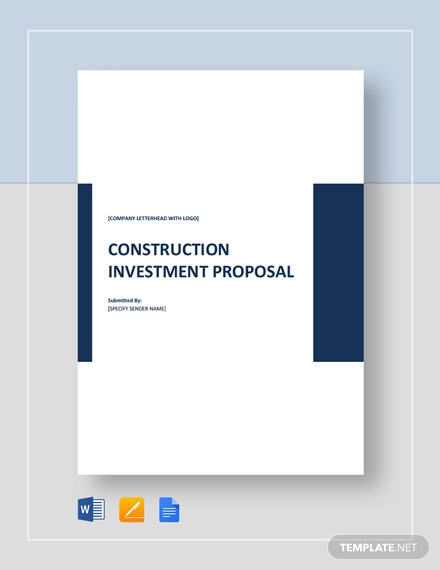 Coming up with a comprehensive construction proposal can detail the entirety of the transaction from the deal creation up to the output that you promise to deliver should the construction proposal be accepted. 1. Make sure that you will give time when developing the scope of work included in the proposal as clients need to see the flow of work that will occur should they accept your offer. 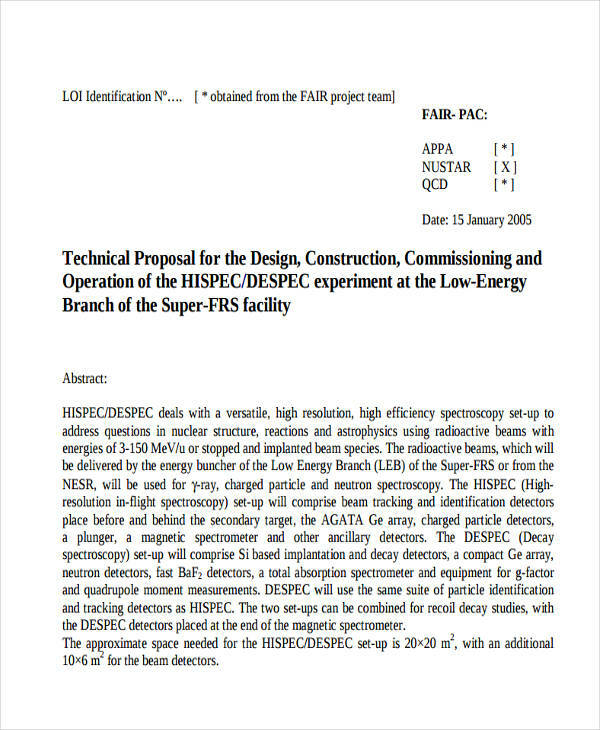 The same goes when making research proposal examples & samples as all elements must be arranged in a particular order. 2. 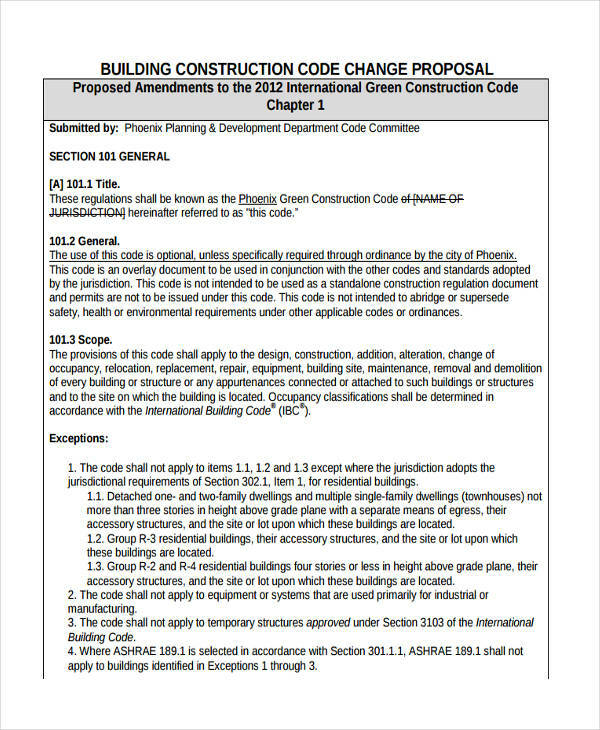 Be aware of the information that you will specify about the owner as these details will also be used for processing permits and other legal documents should the construction proposal be translated to an actual construction project contract. 1. Be specific with the limitations of the proposal as you need to ensure that additional charges will be properly implemented should more work requirements be added by the clients. 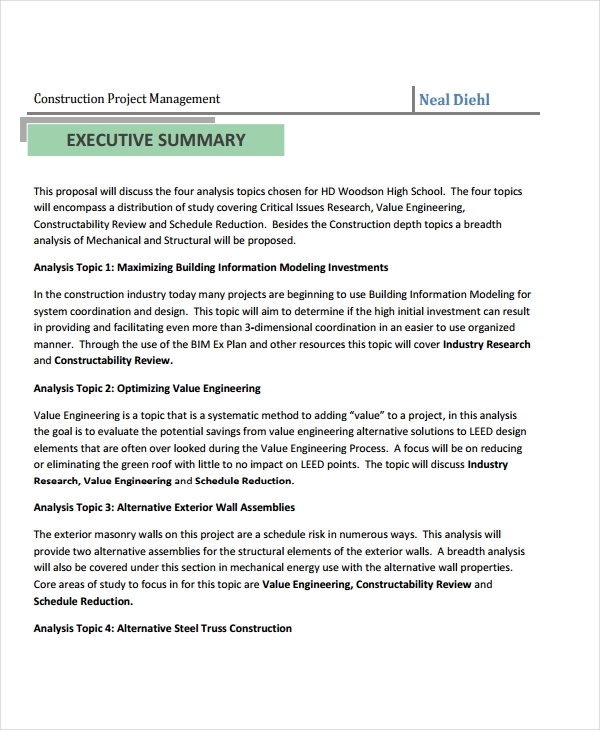 Browsing through budget proposal examples can help you properly develop the cost listing and discussion in your construction proposal. 2. 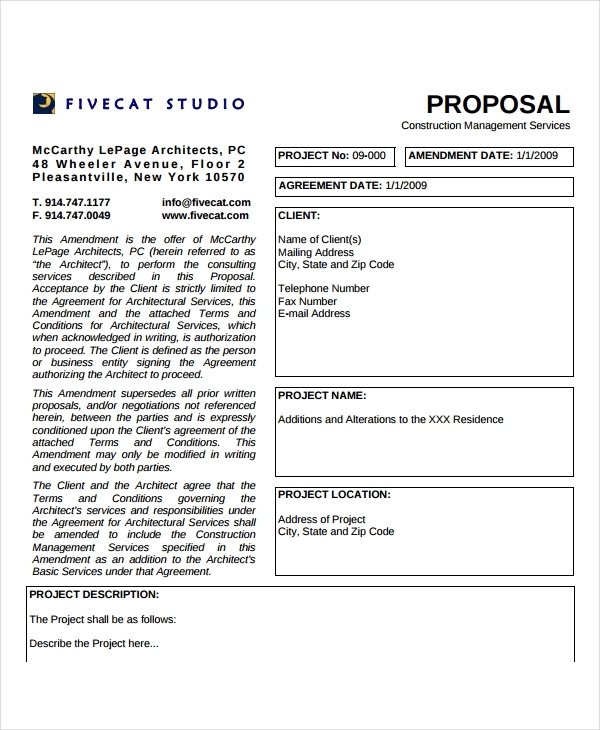 Do not forget to include a space for the signature of the clients. Even if they will initially not accept the offer, the signature alongside the date when the document has been signed can be used as a reference for the validity of the proposal content should the clients change their mind in the future. 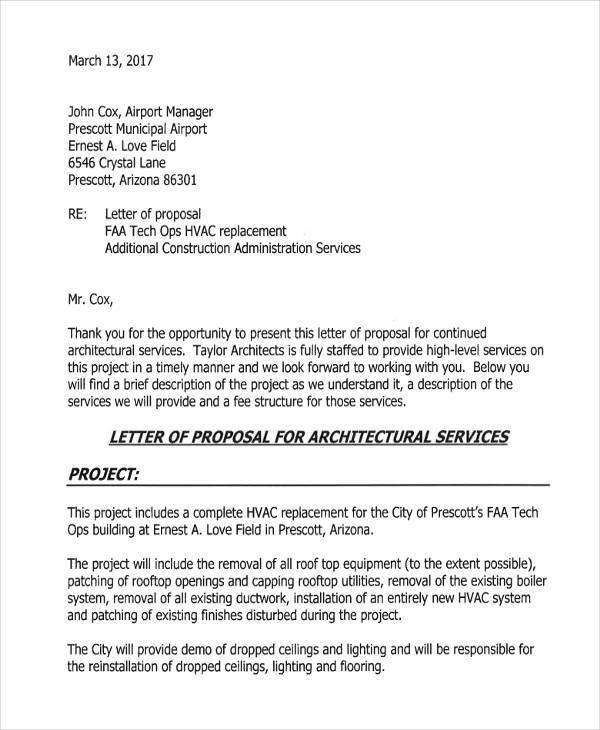 Planning to Make a Construction Proposal? 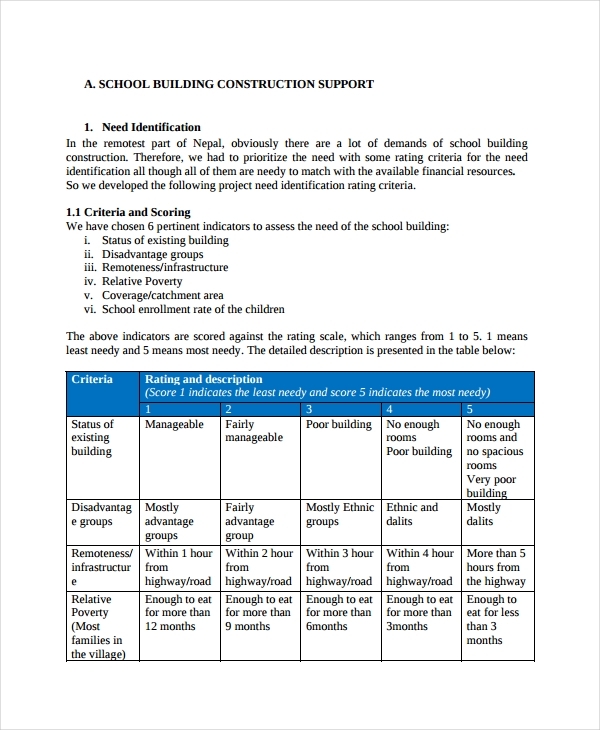 The samples and tips that we have listed should already help you create a construction proposal of your own. 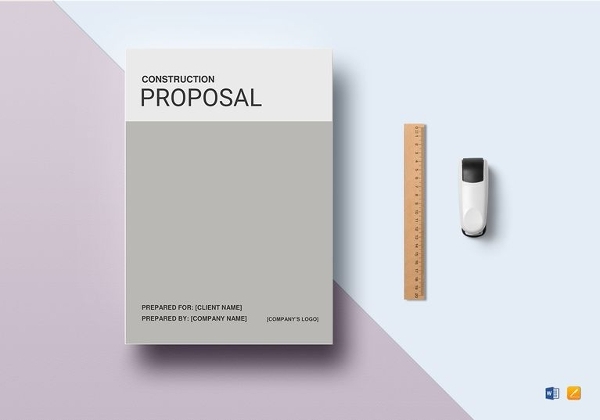 As we have mentioned above, it is important for your professional proposal examples & samples to specify all the essential details about the construction project that you can possibly be handling for your clients. 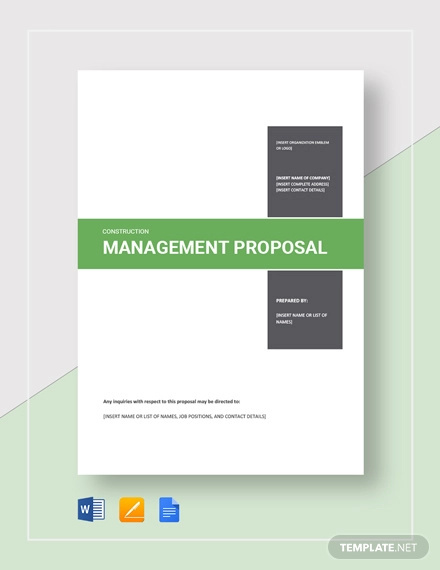 Do not hesitate to refer to concept proposal examples & samples as well as on other kinds of business proposals so you can identify the proper ways on how you can present this document not only for the benefit of your clients but your business as well. 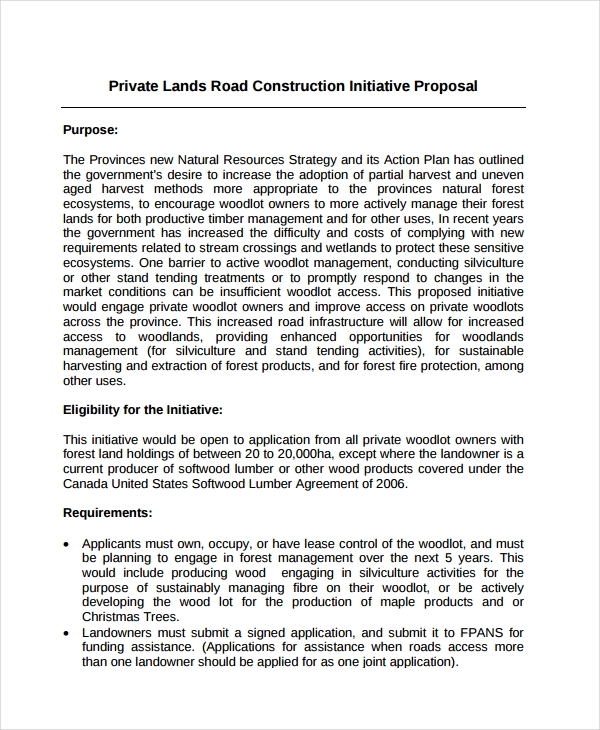 Create a construction proposal now and make sure to always be reminded of the items of discussion that you have browse through this post.